For unbelievable savings on patio furniture in Orange County, explore Patio Place’s weekly specials inventory. 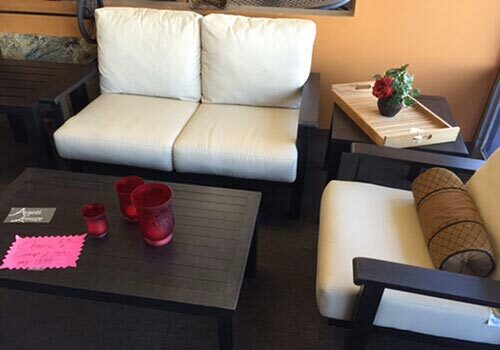 This inventory consists of beautiful, one-of-a-kind brand name patio furniture. We offer huge discounts on Alu-Mont, Hanamint, Patio Renaissance, Sunset West, Telescope Casual, and more. You can save up to 50% on wicker, aluminum, and cast aluminum patio furniture, such as sets, chairs, benches, swings, ottomans, sectional and modular seating, dining tables, bistro tables, and sofas, as well as patio umbrellas, bar stools, fire pits, gas logs, and barbeques. Call or visit Patio Place today for Southern California’s best value in high-quality patio/outdoor furniture. These Mallin swivel rockers would make a beautiful addition to any outdoor dining area. 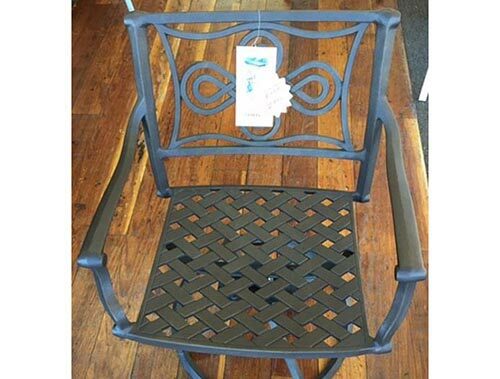 Normally retailing at $450 a piece, Patio Place, is offering these cast aluminum chairs for a buy one get one free deal. Custom Sunbrella cushions available for $50 a piece. Choose from 140 fabrics. 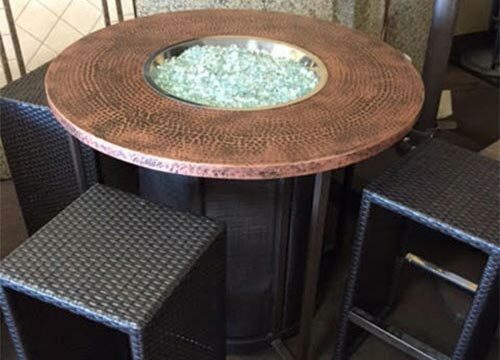 Easily add elegance and warmth while entertaining guests in style with this Homecrest tabletop fire pit. The set comes with fireglass and four wicker aluminum frame barstool chairs. This is a propane fire pit that can be converted to natural gas. SALE PRICE: $1,999. RETAIL: $4,500. 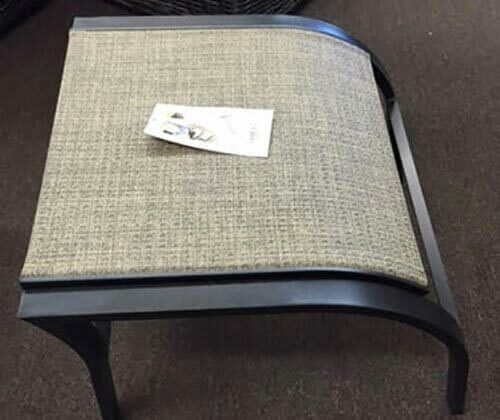 This Mallin sunset terrace sling ottoman is the perfect addition to outdoor areas. Whether you’re using it to put your feet up or for extra seating, this Mallin ottoman will provide years of enjoyment. SALE PRICE: $1,999. RETAIL: Over $3,000.